The Station is home to 12 clean and comfortable ensuite guest rooms which have been stylishly refurbished to a high standard including freeview TV and complimentry WIFI access. Our room rates includes a continental breakfast. Guests can upgrade to full Scottish breakfast for £8 per person per night. 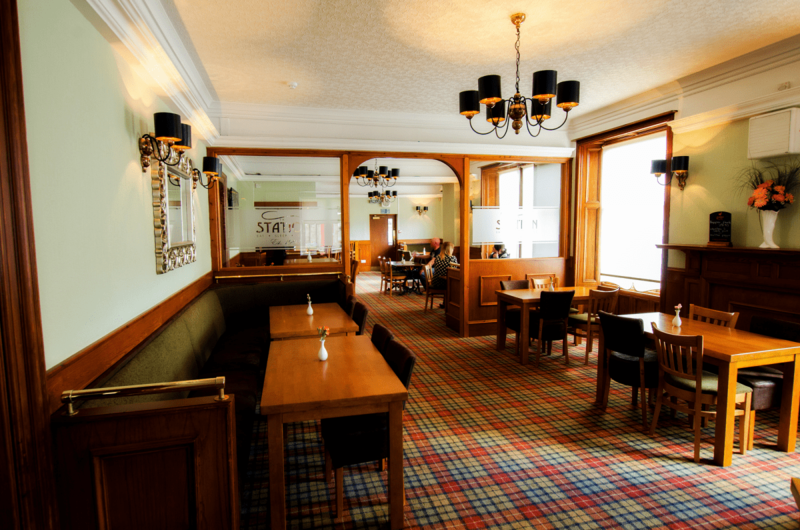 The lounge bar and restaurant at The Station are open to non-residents and serve morning coffee, lunches, afternoon teas and evening meals. If you have a question or would like to make a reservation to eat, send an enquiry below and a member of our team will be in touch!